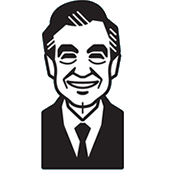 Mister Rogers arrives empty-handed but quickly informs viewers that he has brought with him "some of the best things [he] could give" -- some thoughts. With poetry being an important topic for the week, Mister Rogers recites the beginning of I'm Taking Care of You as a poem before singing it as a song. Mister Rogers visits Chef Brockett's Bakery for a sing-along with folk singer, Andy Holiner. While he is there, Chef Brockett makes a mistake while he is making whipped cream but gets it right in the long run. In the Neighborhood of Make-Believe, it is finally time for the poetry reading where Audrey Duck is the center of attention. King Friday is so focused on his own speech that he forgets Audrey's last name. Back at the house, Mister Rogers concludes with a film abour various types of caretakers. The film about caregivers is also seen in Episode 1520.